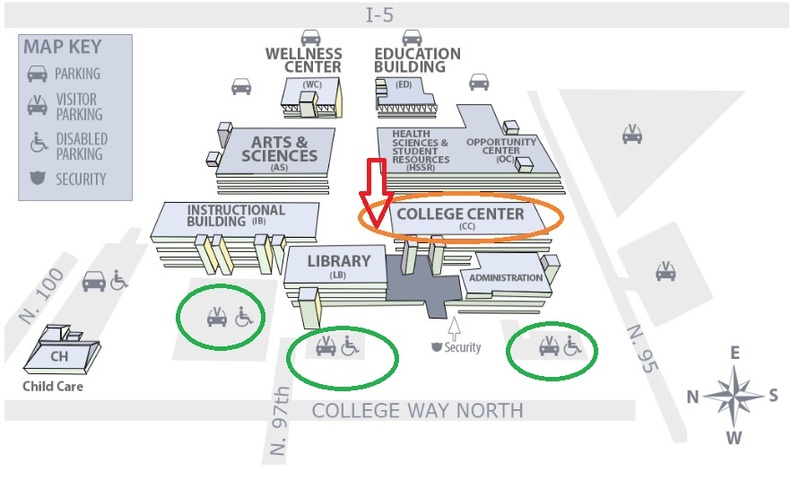 Conference Room CC1161: located in the College Center (CC) building, first floor (near North Star Dining Room). Follow green WSBA signs. Look for neon "North Star" sign above the door to the left of the Security Office. See RED ARROW on below map.